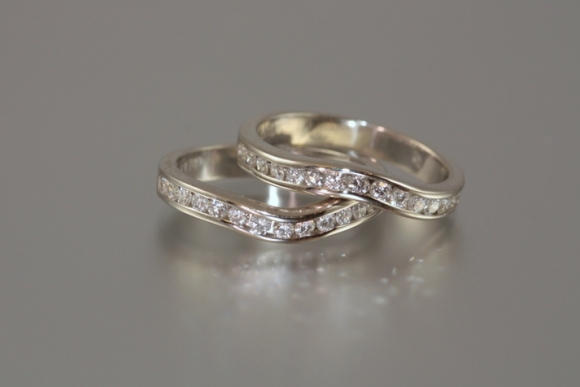 One pair of platinum, channel set diamond bands. The bands have a slight curve to fit gracefully around most solitaire rings. Each band is set with fifteen high quality round brilliant diamonds for a total weight of .38 carat per band.